Has your doctor recommended that you get a chin strap to use with your CPAP machine?Do you “mouth-breathe” while asleep, and it interferes with the effectiveness of your CPAP? This ergonomically designed chin strap holds your chin in place, is securely supported with a strap around the back of the head, and keeps your mouth closed all night long. This improves the quality of your nightly breathing, increasing the likelihood that you won’t wake yourself up in the night. It also helps keep your airways open and vastly reduces the possibility of choking or coughing. From the very first night that you use the Respironics Premium Chin Strap, you’ll notice an increase in the quality of sleep. It reduces your mouth leak as well, so it also helps prevent air leakage while using with a CPAP mask. Have you had dry mouth problems before, from breathing all night? Then you’ll really appreciate having this chin strap to keep your mouth closed and prevent dry mouth. Do you wake up with a raspy or dry throat after mouth breathing with a CPAP mask all night? The air coming from your CPAP or BiPAP is strong, but sometimes that strength can be a bad thing, keeping your mouth open all night. Dry throats can lead to hoarseness, an itchiness, or a tickle in the back of your throat. This simple and inexpensive Respironics Premium Chin Strap eliminates all of these dry and parched throat problems. The entire support strap is completely adjustable. It attaches to a split section of the chin strap, which is where the opening is located for easy fit and removal. 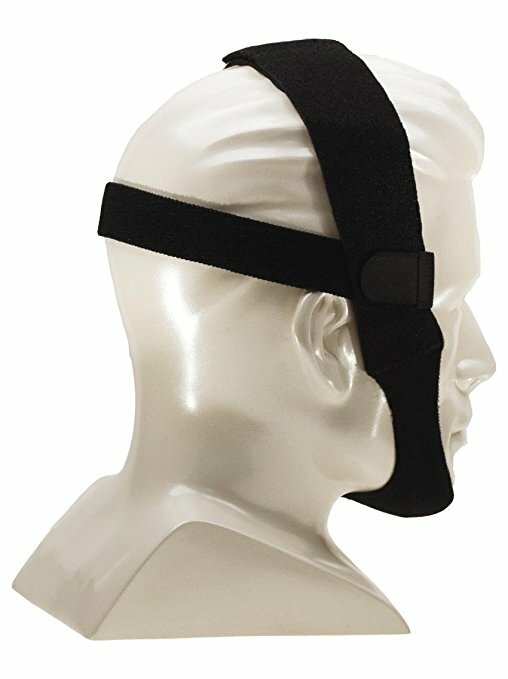 The support strap then wraps around the back of your head and stabilizes the entire head area. As soon as you put it on, you’ll notice an immediate relaxation of the muscles in your jaw. Your head will also feel cradled securely in this chin strap. This chin strap is easy to take off and on, including times at night when you have to get up and remove your CPAP mask. It’s even easy to put it back on in the dark, so no need to wake a sleeping partner or turn on harsh lighting. You’ll definitely appreciate the integrated chin cup that’s sewn right into the chin strap. 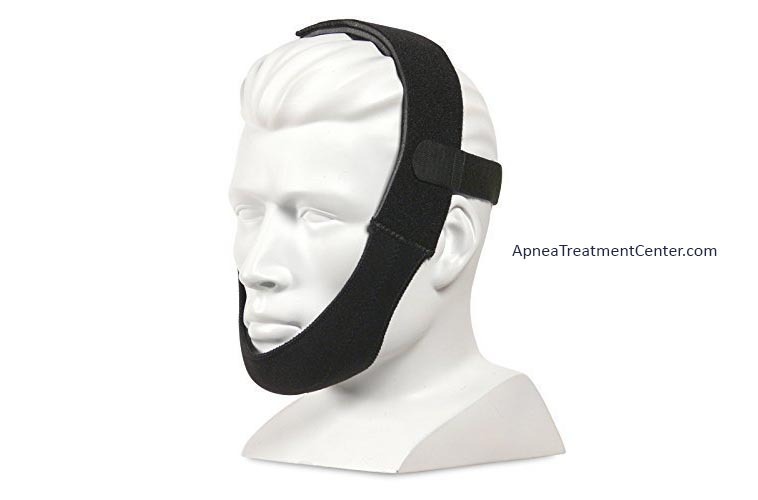 It provides a soft and comfortable support for your entire chin and jaw without placing unnecessary tension around that area of your face. In fact, it removes most of the tension, allowing you to relax your jaw and sleep more soundly without the muscles in your face tensing up. 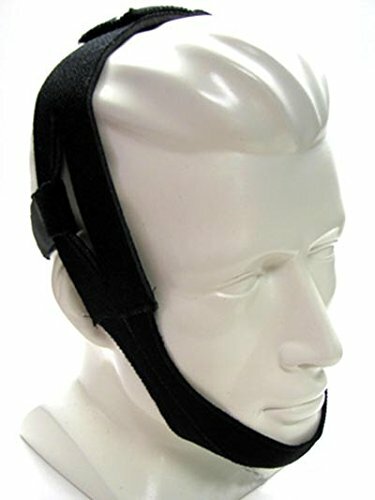 This chin strap is uniquely constructed with a vertical design that promotes a vertical angle of force on the chin. This is opposed to a horizontal angle of force on your chin, which would quickly move your jaw out of alignment. This vertical design reduces the potential of inducing sleep related events. Need to replace your chin strap? The Respironics Logo is set right up on the top of this innovative chin strap, increasing recognition and visibility. That makes replacing simple and easy, no matter how long you’ve had this helpful sleeping device. You’ll definitely want to purchase another one! Taking care of your chin strap has never been easier, thanks to breathable and durable materials that are both soft and washable. You can definitely put this in the washing machine. So, if it’s gotten dirty or you’ve experienced night sweats and soiled it, you simply wash it along with any other household item. Regular cleaning and care will prolong the life of your Respironics Premium Chin Strap. The Respironics Premium Chin Strap comes in one size and a nice neutral black color for a unisex appearance, perfect for any adult. In length, it is 27.25 inches. The width is a comfortable 2 inches. The chin cup section width at the widest point is 3 inches, and the support strap length without tabs is 14 inches long. The support strap length with tabs is 17 inches long, and the support strap width is only 1 inch. This chin strap is made out of Lycra, polyester foam, UBL, and Velcro stretch for comfort, durability, and longevity. Lycra is a stretchy fabric, and the polyester foam cushions your chin with comfortable support. It’s also light weight. The whole chin strap weighs 1.6 ounces. Although it might take a couple of nights to get used to, the Respironics Premium Chin Strap will deliver on the kind of restful sleep quality you deserve, especially after you’ve struggled with dry mouth, dry throat, and other breathing problems. 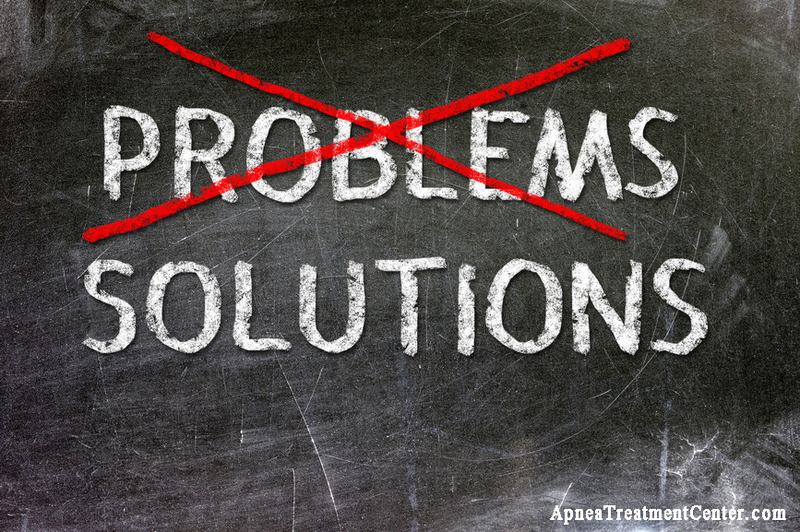 Sleep apnea is difficult enough without struggling for your medical sleep therapy equipment to work. This chin strap is an inexpensive solution to these problems. For those of you who would like to use the Respironics Premium Chin Strap by itself without a CPAP mask, you can definitely do that! It’s less restrictive, since it’s not tied to an air pump or hose, and it allows more movement with fewer sleep interruptions. Although it’s not a true replacement for CPAP or BiPAP therapy, it can be a different approach to control chronic snoring. One slight caveat for users with long hair –this Respironics Chin Strap may interfere with your hair and it could get caught in it while sleeping. It helps with snoring. It even helps for those who don’t need or use a CPAP and simply want a comfortable chin strap device that helps with other sleeping problems. This Chin Strap doesn’t help with night time teeth grinding, so a mouth guard to protect your teeth is recommended for that issue. So, if you’re tired of continually waking up with a severe dry mouth, a dry throat, snoring problems, and other disruptive sleeping issues, then gives this wonderful and effective Respironics Premium Chin Strap a try and get started improving your sleep quality tonight.